Kelvin Gastelum might have a higher ranking and far more wins against top 10 opponents but he’s still going to walk into his co-main event fight against Israel Adesanya as the underdog at UFC 236 on Saturday night. 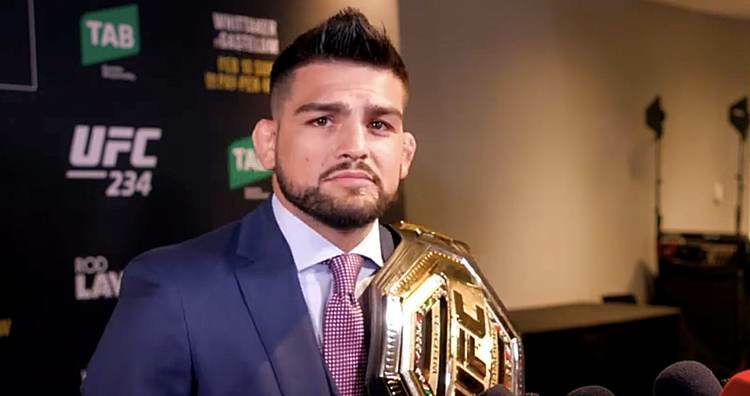 Now the odds may not matter to the fighters involved in the interim middleweight title fight but the perception that Gastelum is about to square off with some kind of unstoppable machine is a narrative he’s faced before in his career. Back in 2013, Gastelum was part of ‘The Ultimate Fighter’ season 17 cast where he was the last selection taken by coach Chael Sonnen on the reality show. Gastelum stormed through the competition picking off middleweight contenders until he made his way to the finale. Despite his run through the tournament, Gastelum’s performances were constantly overshadowed by his teammate Uriah Hall, who had pulled off a string of spectacular knockouts to earn his place in the final fight of the season. Gastelum walked into the showdown with Hall as a 3-to-1 underdog and then pulled off a split decision win to cement his spot on the UFC roster. While the odds aren’t quite as against him this time around, Gastelum is still taking on another highly touted yet arguably unproven prospect in Adesanya. The Nigerian born kickboxer turned mixed martial artist has been impressive since joining the UFC roster with five straight wins including a victory over former middleweight king Anderson Silva in his most recent outing. Of course, Gastelum can’t help but point out the flaws in the logic that Adesanya’s win over Silva legitimately earned him a shot at the interim middleweight title at UFC 236. “He went out there and fought a 43-year old Anderson Silva,” Gastelum said. “He’s the GOAT (greatest of all time), the best of all time and all respect to him but he’s not the same guy that we knew before. [Adesanya] didn’t impress much doing what he did. As confident as Gastelum might be heading into his fight this weekend, he gives Adesanya all the credit for getting the world to watch his every move since first arriving in the UFC. In fact, Gastelum refuses to call Adesanya some overhyped prospect biting off more than he can chew with a title fight in only his sixth appearance inside the UFC Octagon. If anything, Gastelum is glad that Adesanya has so many eyeballs on him right now because it will just make it that much sweeter when he beats him to become the UFC interim middleweight champion. “He completely deserves it. The guy fights well, he speaks well, he looks well, I mean he deserves it. I’m not the kind of guy to be hating,” Gastelum said about Adesanya. “He’s very skilled. Saying that, I just don’t think he’s been tested the way that I have. He hasn’t gone through the lineup that I have. He’s only been in the UFC for a year. Yeah people love these kinds of stories, people love these hype trains. People think this guy is some kind of unstoppable figure but once they get in there in the cage with me it’s another story.